Please notify the Pension table of Defense Personnel as approved by Cabinet on 03.05.2017. The fact of the matter is that all pensioners are in possession of Pension Payment Order (PPO) issued to every pensioner. The decision on the modified formulation may not be all that attractive as claimed to be. However, if it is considered ‘more beneficial’ to more pensioners than the first option recommended by the 7th CPC, let it be an additional option known as modified option. First option recommended by the 7th CPC should not be scarified at the behest of the modified option to leave the pensioners in lurch who possess relevant records, information etc., which is the most advantageous in their cases if they give option under first option. Therefore the claim that the first option was not found to be feasible to implement it on account of non-availability of records would pale into insignificance. Where in some cases, the First Option, if implemented would lead to anomalies, way out could be worked out to redress the grievance. Which GoI order concerning with monetary benefits is not prone to anomaly? Let there be three options viz., First Option, Second Option and Modified Option, let the pensioners wisdom prevail to choose which would be more advantageous to them. It is not good to belittle the First Option to nullity, after all the Govt. earlier has decided to accept it in principle. The pensioners who stand to benefit by First Option should not be deprived of their benefits due to modified formula of the Govt. which requires reconsideration. All Associations and Federations should take note of this. Good Luck. it thse last basic pay drawn and not average emoluments to be taken for arriving at notional pay. In 4th CPC scale my Last pay drawn Is Rs.1720. But last 10months salary average is Rs. 1690. 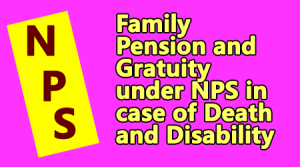 Which must be taken for calculation of notional fixation of pension? Please clarify. Unless the manner in which notional pay would be stepped up for parity purpose, as allowed by 7CPC, nothing can be commented upon. It is not clear why govt: is concealing it. In fact , the whole mischief is hidden in denying this particular information. Again it is more than ten days , but the circular is not coming out. A is not benefitted as they are elevated to the higher grade on due dates. The decision to reject Option 1 is unfortunate and the ground for rejection is totally unscientific. This is the first time that the pensioners are just taken for a ride. The recommendations of the pay commission have been thrown into the dust bin and a bureaucrat’s report got implemented. There’s more publicity on what is given to pensioners on gross levels, mentioning thousands of friends, just misleading. In reality, many pensioners get less in new formulation​. A government​ totally indifferent to truth. Please intimate revised formula of pension fixation. 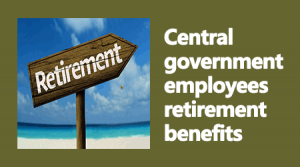 Revised procedure for pension fixation need to be published at the earliest. Also not much details or cases in respect of retired Hony. Commissioned officers are seen any where. When the modified formuls will be made public. When the modified formula will be made public. per the norms found in the PPO. Finally, the Option I recommended by 7th CPC has been denied and some pittance or crumbs are being thrown at pre-2016 pensioners. Once again it is proved that this govt is against employees ,labour and pensioners. No tangible benefit will accrue under this so called via-media formula now approved by Cabinet under the behest of Pension Secretary.